If you're in love with the coast and outdoor activity, then you'll love our coasteering packages. 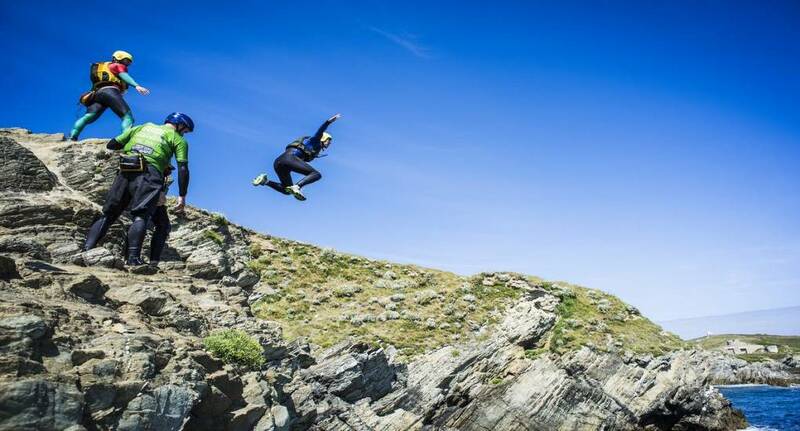 Combining rock climbing, swimming and cliff jumping, coasteering involves you and your group making your way around the coast and having an awesome time doing it. Our instructor offers full instruction and equipment is provided, so you know you're in safe hands. Our packages offer you an unforgettable stag experience, so whether you're a regular thrill seeker or you're looking for something outrageous for your stag do, book yours with The Stag and Hen Experience today.